I found this one quite hard to do. When you live with HIV for a long time, and have a nice home and nice friends and you are becoming comfortable with your HIV, its easy to forget that its not like this for every one. 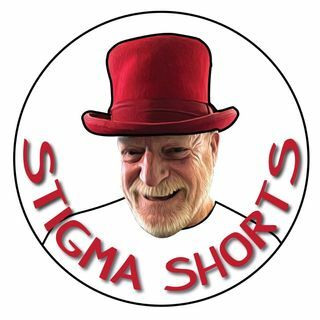 Gary Pargeter of Lunch Positive spoke to me at length about his experiences of HIV stigma and the awful effects it has on some, and I must add, but not all, of the people that attend Lunch Positive. Its hard to listen to in places due to the things that happen to people living ... See More with HIV that don’t have a permanent home. Again, utmost confidentiality is in operation and it’s not possible to identify any of the individuals who’s situations we discussed. On the podcast you will hear a snapshot of what can happen. ARV drugs stolen (some have a street value), people being blackmailed and coerced into behaviours because of the stigma around HIV. When people are living like this is can be very difficult for them to adhere to their ARV’s, and if that happens they may not be able to achieve U=U. Stop the stigma and make everyone’s life a little easier, a little less stressful and a little healthier and happier.